“Whatever dreams he was having, Jason knew they had nothing to do with his physical body. His eyes were firmly shut and his consciousness withdrawn from his senses when all this was going on. Yet in his dreams he experienced sights, sounds and even visceral sensations much more intensely than when he was awake. What if you could re-live the enchantment of childhood bedtime—but with magic that is real? What if you felt the wonder you once sensed when you believed that anything is possible? Or were inspired to see the world through fresh eyes? 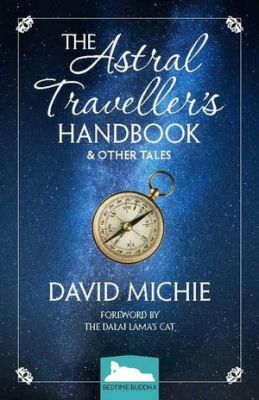 In this compendium of delightful short stories, David Michie draws us into the extraordinary experiences of everyday people as they encounter those tell-tale cracks exposing reality as not quite what it seems. Four female book club members are unexpectedly propelled, by the same black and white photograph, to discover a shared purpose beyond their wildest imaginings. An earnest young seeker finds that drawing aside the veil to an immeasurably more wonderful reality, doesn’t depend so much on the arcane books he reads as on a source much closer to home. A cat-doting woman, who wishes her beloved felines would talk to her, is shaken when she realises what they have been trying to communicate all along.